If you have diabetes, everything you eat and drink takes on extra importance. You have to ask yourself whether that bowl of pasta will boost your blood sugar, and naturally you wonder if you can get away with having a little dessert. You may also wonder if it’s OK to drink alcohol. You probably won’t find beer or wine on any official “diabetic menu,” but if your diabetes is well-controlled, a drink with dinner is not likely to do you harm. As reported in the Annals of Internal Medicine, light drinking might actually help you control your blood sugar — at least in the short term — while possibly lowering your risk for heart disease. The key word is “moderate.” While light drinking usually isn’t dangerous, too much alcohol can make your disease harder to control and put your health at risk. If you don’t drink now, it’s best not to start. If you’re already a drinker, knowing when to say “when” can be a crucial step toward managing your diabetes and staying well. The American Diabetes Association recommends a limit of two drinks per day for men, and one drink per day for women. But even if you stick to these modest levels, you’ll need to use a little caution and common sense to make sure alcohol won’t turn against you. If you have diabetes, drinking is certainly a good topic to discuss with your doctor. If you do drink socially, you’re already aware of alcohol’s impact. Within minutes of your first sip, alcohol can start making its presence felt all over the body. The heart beats a little faster, the skin feels a little warmer, and the brain gets a small buzz. People with diabetes should know about other, lesser-known effects of alcohol. For one thing, alcohol keeps the liver from releasing sugar (glucose) to the bloodstream. As reported in the Annals of Internal Medicine, there’s some preliminary evidence that alcohol also boosts your body’s supply of insulin, the hormone that helps your cells soak up sugar from your blood. This one-two punch means that a bottle of beer, glass of wine, or shot of whiskey won’t raise your blood sugar. In fact, there’s a chance that alcohol could make your blood sugar drop, especially if you’ve just exercised or haven’t eaten anything. For this reason, the American Diabetes Association recommends always drinking alcohol with food. You also have to be careful about alcohol if you’re taking medications that reduce blood sugar, such as glipizide and insulin. The combination could send your blood sugar plummeting. Talk to your doctor about the potential risks of combining your medications with alcohol. Most patients can avoid trouble by drinking only during or immediately after a good meal. Of course, you’re getting more than alcohol when you drink a beer or a glass of wine: You’re also getting a load of sugar. A regular 12-ounce beer has about 150 calories; a light beer has about 100 calories. 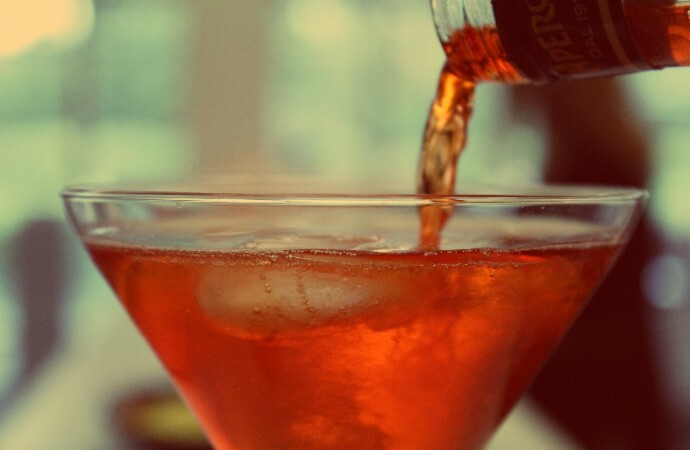 If you enjoy cocktails, sweet mixers can bust your calorie budget. Also, keep sweet wines, sweet vermouth, and wine coolers to a minimum. The American Diabetes Association recommends sticking to relatively low-calorie drinks, such as light beer and dry wines. If you do use a mixer, try sugar-free options such as diet soda, seltzer water, or plain water. For better or worse, your approach to alcohol can affect your health many years down the road. As reported in the Annals of Internal Medicine, some studies have suggested that light drinking can cut the risk of heart disease in people with diabetes by about 40 percent. Light drinking helps protect the heart in two important ways: It increases the supply of “good” HDL cholesterol while discouraging dangerous blood clots. But again, it’s not a good idea to start drinking if you’re currently a teetotaler. Unless you’re already a light drinker, there’s no way to know whether you’ll be able to limit yourself to just one or two drinks a day. Doctors warn that the health benefits of light drinking pale in comparison to the dangers of going overboard. Heavy drinking will raise your blood pressure, increase your risk for heart disease, increase the risk for nerve damage, and damage your liver — an organ that plays an important role in controlling your blood sugar. Interactions between alcohol and your medications become more likely — and potentially more dangerous — with every extra drink. Heavy drinking can also weaken your commitment to managing your disease. It’s hard to get your exercise, take your medications, check your blood sugar, and eat right when you’re overindulging or recovering from the night before. According to several studies, diabetics who drank even moderate amounts of alcohol were more likely than nondrinkers to neglect taking good care of themselves than people who didn’t drink at all. If your diabetes is well-controlled, though, and you’re already accustomed to a glass of wine with dinner, alcohol isn’t a real threat. Just be sure to mix it with a good dose of common sense.